We’re very excited to show our first expansion, Guild Wars 2: Heart of Thorns™, at PAX East this weekend and at Rezzed next weekend. 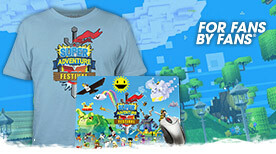 And we’re happy to announce that we’ll start closed beta testing shortly after. There will be no nondisclosure agreements for these beta tests. Those of you who are selected as testers will be free to talk about your experiences and to post streams and videos of the content you play. Please understand that these are early beta tests designed to stress core systems of an expansion that’s still in development. Because we’re stressing core systems, we’ll start with a very small pool of testers and then grow a little with each successful test. Are you interested in participating? We’ll draw our initial pool of testers from among active players and loyal customers who are also subscribed to the Guild Wars 2 newsletter. By opting in to receive email from us, you’re opting in to any potential beta invites. So if you want to be considered for beta test, please make sure we have your current email address and that you’re successfully receiving our newsletters. It’s easy. Just go to the newsletter sign-up page and fill out your information*. If you’re one of the lucky players chosen to participate, you’ll get an email from us shortly before an event, which will contain all the details you’ll need. We can’t guarantee you’ll be chosen for these small closed beta tests, but we can at least guarantee you’ll get all the latest Heart of Thorns news delivered straight to your inbox. So sign up now, and don’t forget to tell your guild mates! 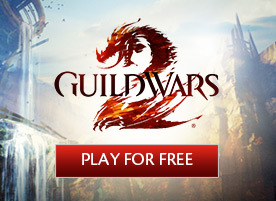 *Must be 13 years or older to sign up for the Guild Wars 2 newsletter. Signing up for the Guild Wars 2 newsletter does not guarantee entry into a closed beta test or stress test event. Participation is limited to Guild Wars 2: Heart of Thorns closed beta events only and does not include other future beta events. 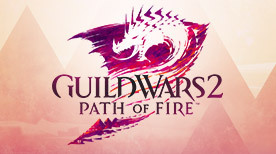 An active Guild Wars 2 game account and Internet access required to participate.